In email marketing, subject lines get recipients to open the email. The “from” line gives credibility and builds brand awareness. The creative message invokes the desire to know more, buy a product, or sign up for a webinar. But one of the most important and overlooked elements to emails is the call to action. In this article, I’ll examine five key factors to consider for effective calls to action in your email campaigns. Many clients ask me what their call to action should be. This is easily answered when you think about it. What is the campaign trying to accomplish? What specific action is it that you want your recipients to take? Identifying the answers to these questions is the first step to determining what your email call to action should be. Many times these questions are not properly identified in the beginning of a campaign, causing poor results. It is important to step back and consider your recipients and what they are experiencing when they get your email. Understanding consumer behavior will allow you to ultimately craft the perfect call to action. 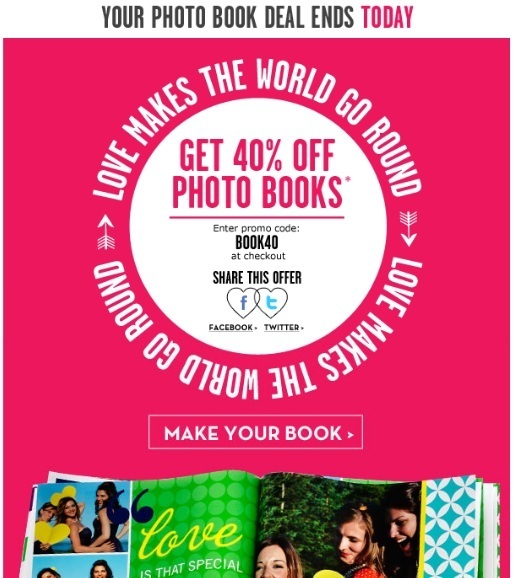 Instead of asking recipients to “Buy Now,” Shutterfly entices them to “Make Your Book” and will urge them to buy later in the process. While your call to action should be effective, it is important not to scare people away. Buttons with words like “Apply Now” or “Sign Up Now” are common. However, these may be premature when they are placed within the body of the email itself. It’s like asking someone out on a date before you know his or her first name. Asking for a commitment of any kind early in a relationship will simply scare consumers who aren’t ready. Direct them to an effective landing page where they can learn more. Then use the calls to action that require more of a commitment. 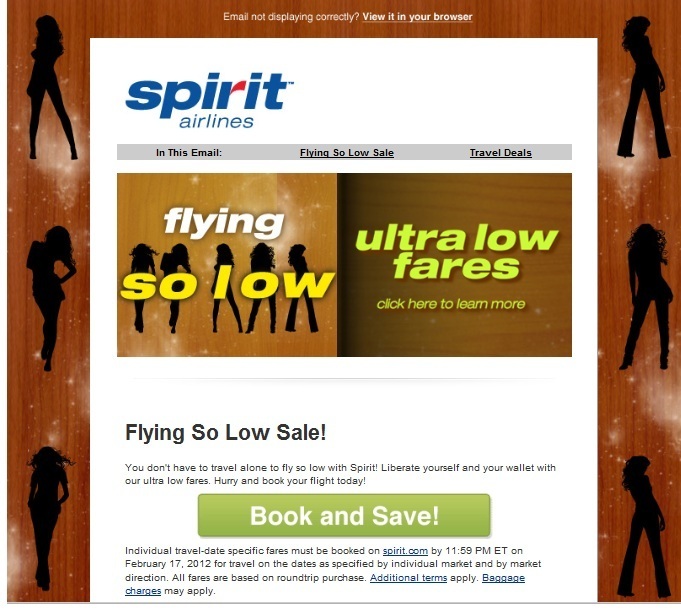 Although Spirit Airlines has a large and easy-to-read button — “Book and Save!” — asking recipients to book immediately may be too much commitment before actually researching the prices and flight times. Consumers are exposed to a large volume of digital advertisements. But customers are still attracted to messages that are easy to read, easy to follow, and simple. Make your calls to action obvious, clear, in large fonts, and easy to understand. 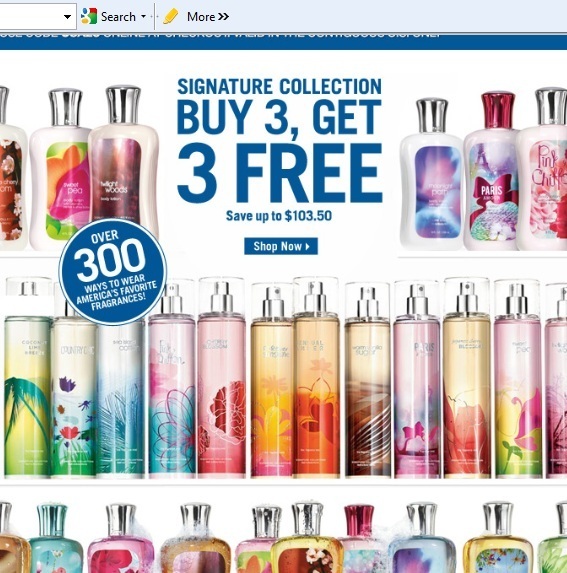 Bath and Body Works’ call to action — “Shop Now” — is much too small and gets lost in this email creative. With an increased use of mobile devices for previewing emails, I’ve seen a resurgence in old-school email design. Basic, unglamorous design elements are gaining popularity because they render well across different devices. Many email marketers now use text-based buttons, including plain-text links as well as links with a background color that appear to look like image buttons — known as “bullet-proof buttons.” Using a text-based link or bullet-proof button will allow you to display an effective call to action even if recipients have not loaded the images in their email clients. When you have settled on the language and placement of the call to action, review the process to ensure it makes sense. Once the subscriber gets to the landing page, was the call to action appropriate and not misleading? The easiest way to increase your bounce rate on a landing page is to make the call to action misleading. Afterwards, review the actions of the recipients after they clicked through to determine whether you fulfilled their expectations. Misleading offers may get clicks, but your visitors will abandon as soon as they find out that it wasn’t as good as it sounded. Review the entire email, call to action and landing page progression to ensure it is seamless and straightforward.